I was delighted to be asked to take part in the 10 year celebrations of CAMASS and to be asked to speak at their event. They showed outstanding hospitality to us as their guests throughout the evening. Sitting in a debate for the first time ever as a panellist representing Yes Scotland, Women for Independence and Scots Asians for Yes was an interesting experience. I was joined by Chris Glendenning who was an excellent speaker and a representation for Yes Youth and Students. The better together campaign representatives were ex MP Maria Fyffe and Labour Councillor Martin Elloray. The ex -MP Maria Fyffe bought with her a female guest. The female guest made a statement about the Yes Scotland campaign and the SNP being European style nationalists and insidiously inferred that we were racists and that the audience members would have no one to blame but themselves if an independent Scotland went down the route of other USSR breakaway states, in how they treated incomers. Let me assure you that we rebutted and corrected her confidently and quickly with the support of the chair and the audience. Is it acceptable to bring along guests that would create fear and panic in a support group of an ethnic minority group, where many of its members had gone through much adversity to enter the UK? To someone like me, it was outrageous that someone as experienced as an member of Parliament would bring along a guest that would stoop to such a low level. The better together campaign is based on FEAR and fear alone. They have NOTHING new to offer. There is no vision, just more of the same bleakness of an English United Kingdom disintegrated day by day and lurching further to the right, where Scotland moves further to the left and is based purely on its basis for a fair and socially just society for all the residents that live in Scotland, irrespective of where they come from. I would have more respect if the information that is shared to the public is transparent and evidence based rather than the political posturing I was witness to by the Labour/Tory coalition under the umbrella of #bettertogether that evening. The icing on the cake that evening was that we -Yes Scotland won the debate , which showed that a well balanced argument based on common sense and respect for the audience was vital to get across a consistent message and vision – that change does not have to be scary, not if we all support each other along the journey and add to the debate that enriches it rather than sours the taste. 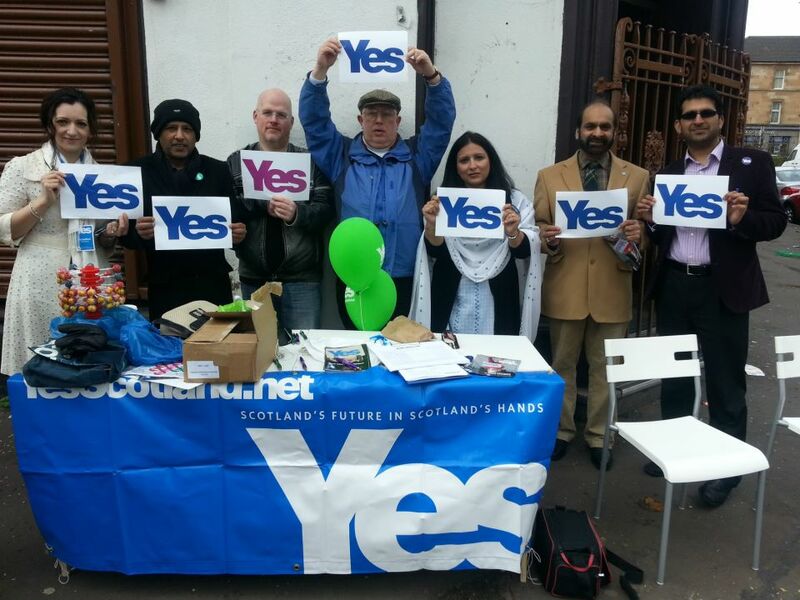 We are an open and diverse network of people who have settled in Scotland from the Asian sub-continent and who support independence for Scotland and will work with others for a Yes vote in the referendum. We will ensure that there will be a space for our voices and interests in the campaign. Independence will create opportunities for all of us to engage in developing a fully democratic vision for Scotland’s future. We look forward to adding your stories to our blog and joining us in our movement towards making Scotland a strong independent nation striving for social justice and a more equal and fairer society. 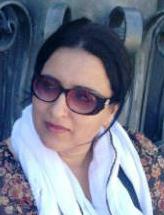 Lawyer, producer, actress and mother of four, Tasmina Sheikh is a talented woman. She believes Scotland has the talent to flourish as an independent country.Hear Tasmina speak about Scotland’s diverse and talented people. Tasmina is a partner with a Glasgow law firm, a TV producer for Elysee Productions International Limited, as well as an accomplished actress. She is the Chair and Founder of Scottish Asian Womens Association and recently won “Professional of the Year” at the Asian Women of Achievement Awards. If you agree with us, join us and show your support by signing the Yes Declaration.